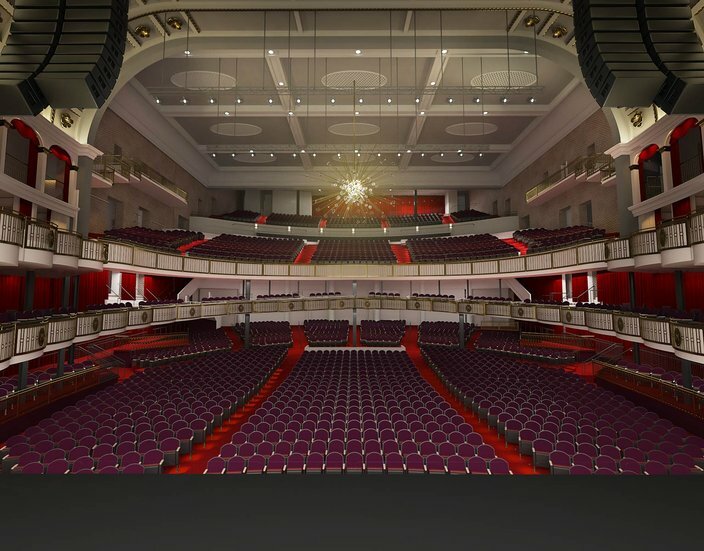 Images have already been released of the venue's exterior, along with an amped up teaser video released last May, but new renderings from Atkin Olshin Schade offer a peek inside the concert hall's upscale lobby, stage view, and other features. 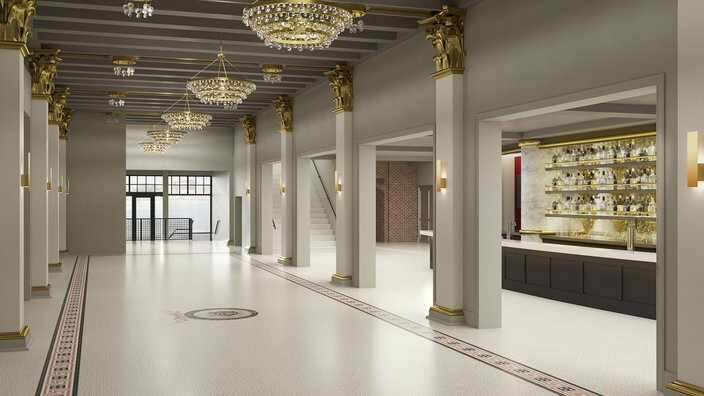 The venue's original terrazzo floor is being restored, along with the original Philadelphia Opera House crest. 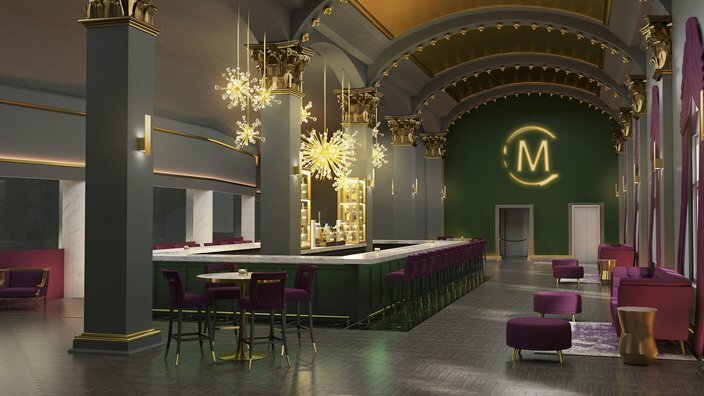 The Met lobby will include a full-service bar featuring draft beers and liquor. Front of house view from stage. Front of house view from the stage, open floor plan. 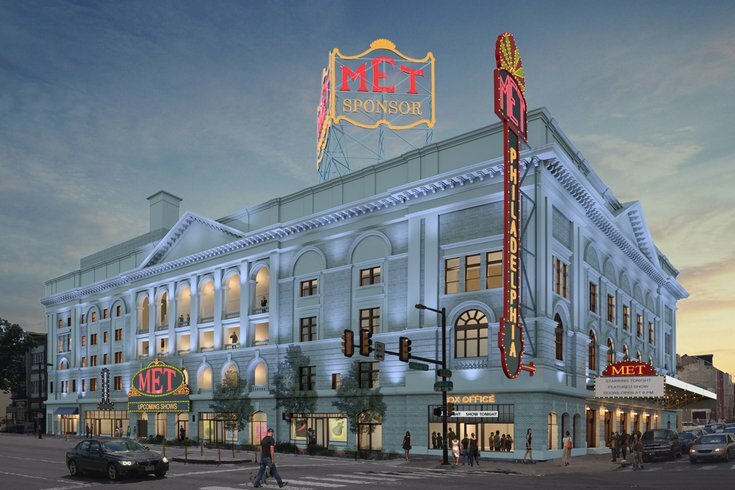 “The Met Philadelphia will offer the ultimate live music experience," said Geoff Gordon, Live Nation Philadelphia regional president, in a statement. 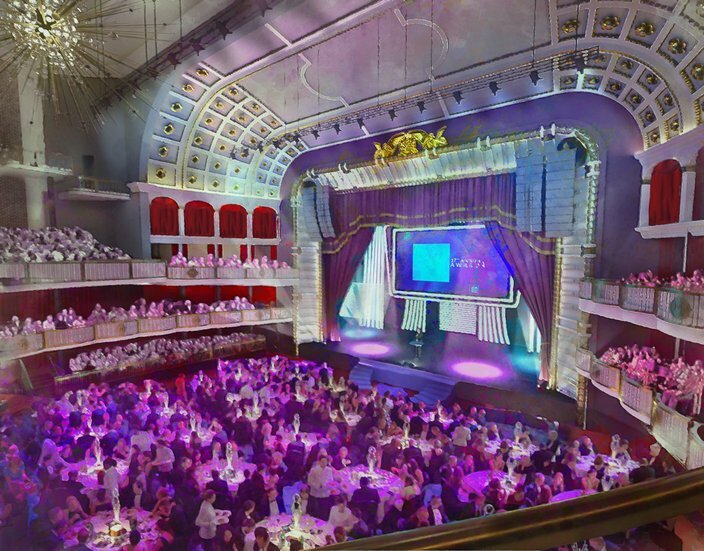 Another aspect of the updated space is a grand ballroom that can be used for private or corporate events. The Grande Salle, pre-set. 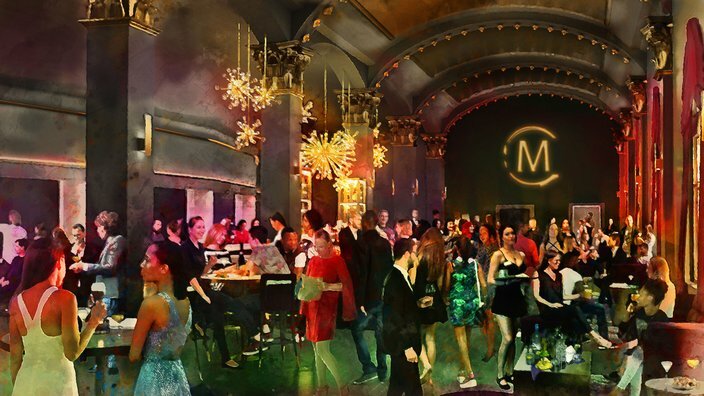 The ballroom will be a multi-functional space for private events. A full food menu and bottle service option will be available. The Grande Scalle will also be an available space for guests prior to, or after, a show. 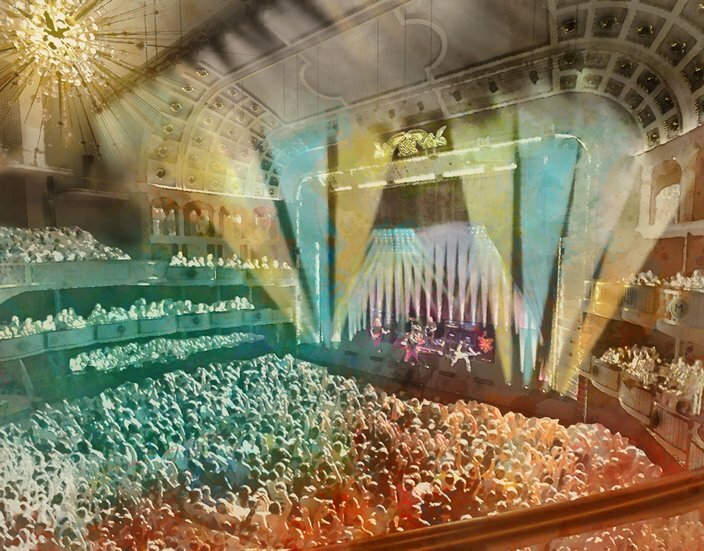 The renderings also highlight the different uses of the main performance space depending on the act. Developers envision the space used for concerts, cabarets, award shows, and other events. The inside of the Met's concert hall, set up for full seating. 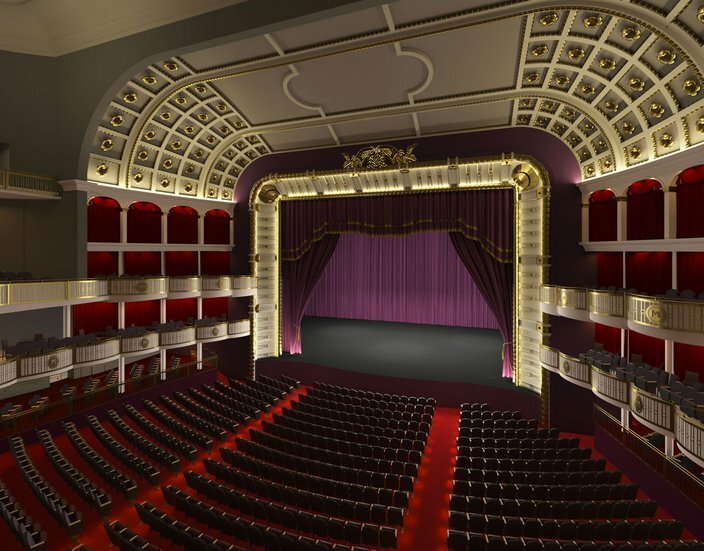 A rendering of the concert set-up at the Met. Though the official opening date hasn't been announced yet, there are at least two shows scheduled for the venue. James Bay will perform March 9, 2019, and Derek Hough, featured "Dancing with the Stars," will perform June 14, 2019.